Leaf by Niggle recounts the strange adventures of the painter Niggle, who sets out to paint the perfect tree. But he senses that he will be snatched away from his work long before it is finished - if indeed it could ever be finished in this world. For it is in another and brighter place that Niggle finds his tree is finished, and learns that it is indeed a real tree, a true part of creation. 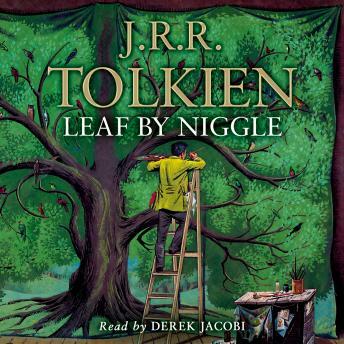 Written in the early 1940s at the same time as The Lord of the Rings was taking shape, 'Leaf by Niggle' is a passionate adult fairy tale about a man who has 'a long journey to make', thought to be an allegory of Tolkien's own life.